In modern-day 21st century, medicine has evolved to involve past treatments such as leech therapy, as well as advancing wound prevention and the treatment. A large part of wound care is wound treatment. This involves promoting healing, preventing infections, and getting rid of an already existent infection. Deciding on a treatment depends on the type of wound that a person has sustained. Varying from infections to burns, wound care is a priority in saving the limb, extremity, or life of a person. In a hospital or medical care setting, more severe wounds like diabetic ulcers, decubitus ulcers, and burns require sterile or clean (depending on the severity of the wound) dressings and wound care. The types of wound dressing include: dry dressings, wet-to-dry dressings, chemical-impregnated dressings, foam dressings, alginate dressings, hydro fiber dressings, transparent film dressings, hydrogel dressings, and hydrocolloid dressings. All of the listed dressing types require different materials to complete the dressing. \r\n The skin is a barrier to the outside world protecting the body from infection, radiation, and extremes of temperature. There are many types of wounds that can damage the skin including abrasions, lacerations, rupture injuries, punctures, and penetrating wounds. Many wounds are superficial requiring local first aid including cleansing and dressing. Some wounds are deeper and need medical attention to prevent infection and loss of function, due to damage to underlying structures like bone, muscle, tendon, arteries and nerves. The purpose of medical care for wounds is to prevent complications and preserve function. While important, cosmetic results are not the primary consideration for wound repair. \r\n Tissue engineering is the use of a combination of cells, engineering and materials methods, and suitable biochemical and physicochemical factors to improve or replace biological tissues. Tissue engineering involves the use of a tissue scaffold for the formation of new viable tissue for a medical purpose. While it was once categorized as a sub-field of biomaterials, having grown in scope and importance it can be considered as a field in its own. \r\n The cellular and molecular mechanisms underpinning tissue repair and its failure to heal are still poorly understood, and current therapies are limited. Poor wound healing after trauma, surgery, acute illness, or chronic disease conditions affects millions of people worldwide each year and is the consequence of poorly regulated elements of the healthy tissue repair response, including inflammation, angiogenesis, matrix deposition, and cell recruitment. Failure of one or several of these cellular processes is generally linked to an underlying clinical condition, such as vascular disease, diabetes, or aging, which are all frequently associated with healing pathologies. The search for clinical strategies that might improve the body’s natural repair mechanisms will need to be based on a thorough understanding of the basic biology of repair and regeneration. In wound healing, as in other areas of medicine, technologies that have the potential to regenerate as opposed to repair tissue are gaining ground. These include customizable nanofiber matrices incorporating novel materials; a variety of autologous and allogeneic cell types at various stages of differentiation (e.g., pluripotent, terminally differentiated); peptides; proteins; small molecules; RNA inhibitors; and gene therapies. 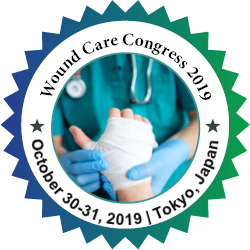 Cutaneous wound healing has long been a magnet for tissue engineering and regenerative medicine due, in part, to the accessibility of skin, its flat structure and relatively avascular composition, and the fundamentally regenerative nature of healing. Cell therapies are already used for wounds, and good limb salvage options are lacking, rendering wound healing an attractive option for regenerative strategies. The field has witnessed pioneering efforts in tissue-engineered, cell-based, gene-based, and growth factor therapies. As per earlier definitions, to date, none of the commercially available products can truly be considered regenerative as none leads to the regeneration of adnexal structures of the skin such as hair follicles and sweat glands. Nevertheless, some of the tissue-engineered/regenerative medicine technologies have made valuable contributions to the field as demonstrated by significantly improved healing rates over standard of care in randomized trials. Thus, the field is evolving toward regenerative medicine even as most of the current tissue-engineered/regenerative medicine technologies are more in line with Yannas' characterization of partial regeneration. \r\n A commonly applied definition of tissue engineering, is "an interdisciplinary field that applies the principles of engineering and life sciences toward the development of biological substitutes that restore, maintain, or improve [Biological tissue] function or a whole organ". Tissue engineering has also been defined as "understanding the principles of tissue growth, and applying this to produce functional replacement tissue for clinical use".A further description goes on to say that an "underlying supposition of tissue engineering is that the employment of natural biology of the system will allow for greater success in developing therapeutic strategies aimed at the replacement, repair, maintenance, or enhancement of tissue function". A commonly applied definition of tissue engineering, as stated by Langer and Vacanti, is "an interdisciplinary field that applies the principles of engineering and life sciences toward the development of biological substitutes that restore, maintain, or improve [Biological tissue] function or a whole organ". Tissue engineering has also been defined as "understanding the principles of tissue growth, and applying this to produce functional replacement tissue for clinical use". A further description goes on to say that an "underlying supposition of tissue engineering is that the employment of natural biology of the system will allow for greater success in developing therapeutic strategies aimed at the replacement, repair, maintenance, or enhancement of tissue function". Track 8-2In vitro meat: Edible artificial animal muscle tissue cultured in vitro. Track 8-3Bioartificial liver device: several research efforts have produced hepatic assist devices utilizing living hepatocytes. Tissue Engineering (TE) is a scientific field mainly focused on the development of tissue and organ substitutes by controlling biological, biophysical and/or biomechanical parameters in the laboratory. The result corresponds, in most cases, to the elaboration of three-dimensional cellular constructs with properties more similar to natural tissues than classical monolayer cultures. These systems enable the in vitro study of human physiology and physiopathology more accurately, while providing a set of biomedical tools with potential applicability in toxicology, medical devices, tissue replacement, repair and regeneration. To succeed in these purposes, TE uses nature as an inspiration source for the generation of extracellular matrix analogues (scaffolds), either from natural or synthetic origin as well as bioreactors and bio-devices to mimic natural physiological conditions of particular tissues. These scaffolds embed cells in a threedimensional milieu that display signals critical for the determination of cellular fate, in terms of proliferation, differentiation and migration, among others. The aim of this review is to analyze the state of the art of TE and some of its application fields: bone, cartilage, heart, pancreas, vascular and cancer. \r\n	Regenerative medicine seeks to replace tissue or organs that have been damaged by disease, trauma, or congenital issues, vs. the current clinical strategy that focuses primarily on treating the symptoms. The tools used to realize these outcomes are tissue engineering, cellular therapies, and medical devices and artificial organs. \r\n	When injured or invaded by disease, our bodies have the innate response to heal and defend. What if it was possible to harness the power of the body to heal and then accelerate it in a clinically relevant way? What if we could help the body heal better? \r\n	The promising field of Regenerative Medicine is working to restore structure and function of damaged tissues and organs. It is also working to create solutions for organs that become permanently damaged. The goal of this medicine is to find a way to cure previously untreatable injuries and diseases. \r\n	Scientific research is working to make treatments available for clinical use. Treatments include both in vivo and in vitro procedures. In vivo meaning studies and trials performed inside the living body in order to stimulate previously irreparable organs to heal themselves. In vito treatments are applied to the body through implantation of a therapy studied inside the laboratory. \r\n	Regenerative medicine (RM), from tissue engineering (TE) to cell therapy, offers valuable treatment options, which are rarely considered in daily clinical settings. Doctors, surgeons, clinicians and, in general, healthcare policies are not prone to substitute conventional approaches with innovative therapies without extended and thorough experiments. A major concern that limits the spreading of RM is related to different challenges to solve definitively, e.g. live tissue handling and manufacturing. \r\n	Appropriately preserved stem cells can be later used in the field of regenerative medicine for treating congenital disorders, heart defects etc. Cryopreservation of ovarian tissue would have many benefits for infertility treatment. A direct application of such a technique would be in overcoming infertility in cancer patients rendered infertile by harmful treatments such as chemotherapy and radiotherapy which indiscriminately destroy diseased as well as healthy cells. The ability to cryopreserve preimplantation embryos from both animal and human sources has helped to overcome some of the practical concerns. \r\n	Biomaterials , an engineered material used to make gadgets to supplant some portion of a living framework or to work in suggest contact with living tissue. The study of biomedical materials includes an investigation of the piece and properties of materials and the manner by which they associate with nature in which they are set. The most widely recognized classes of materials utilized as biomedical materials are polymers, metals, and earthenware production. These three classes are utilized separately and in blend to frame the greater part of the implantation gadgets accessible today. <p justify;\"="" style="text-align: justify;">Stem cells are defined as being clonogenic, having self-renewal capacity throughout lifetime and giving rise to terminally differentiated cells of various cell lineages. Their differentiation pathway is unidirectional, passing through the stage of lineage and finally generating differentiated cells. Adult stem cell differentiation is traditionally believed to be restricted to the tissue in which the stem cells reside (hematopoietic stem cells generate blood cells,liver progenitor cells produce hepatocytes and). Hematopoietic stem cells are the most thoroughly characterized adult progenitor cells, mostly because of their easy accessibility and use for transplantation to treat malignant disease. <p style="\&quot;text-align:" justify;\"="">\r\n Regeneration and rehabilitation are the values as of rehabilitation and regenerative medicine, with the ultimate goal of developing innovative and operative methods that promote the restoration of function through tissue regeneration and repair. In order to provide an optimal microenvironment for healing tissues, physical therapists use directed therapy to maximize productivity of the body's innate healing processes. Rehabilitation coupled with regenerative medicine surgeries has shown improved outcomes for tissue regeneration. With innovative findings from medical researchers in tissue engineering and cellular therapies, physical therapists play an important role in translating these findings.